Sometimes you come across cars that are just too good to pass up. 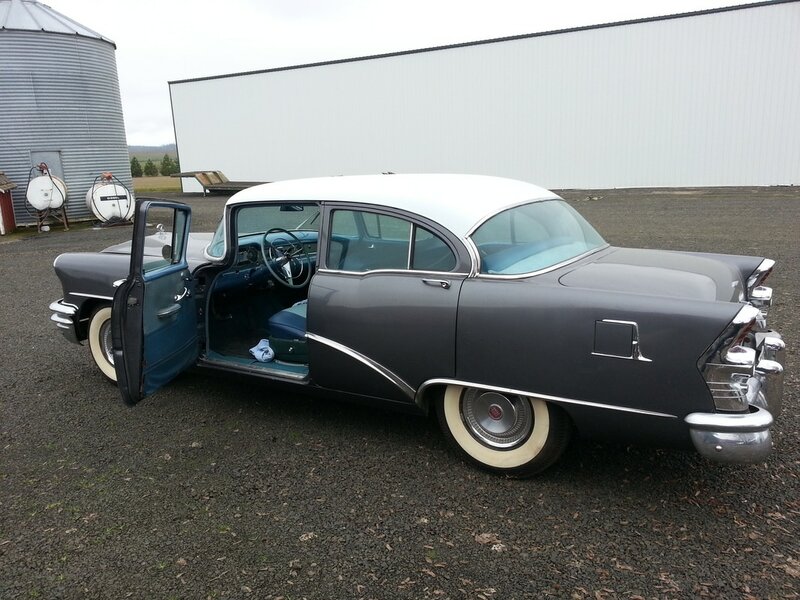 That was the case with the 55' Buick. When my father had been mentioning that he would like an older car to fix up, take on a few cruises, and just drive around, the first thought that came to mind was something I had seen a few years before in a barn at a friends place. They had been storing it for their grand father, who had transferred it to the father, but didn't want them to sell it to just anyone as he had bought it brand new back in the day and it had never left the family. After the grand father passed away, they couldn't decide what to do with the car, so they just left it in the back of the barn, periodically checking on it or cleaning it off. When my dad heard about it, he was very interested, but concerned they would either want too much money since it was all original or that it would be so rusted out that it wouldn't be worth saving. At the time I was good friends with the owners of the car and made a quick trip to look the car over. Surprisingly, the car was in great shape for sitting nearly 30 years or more. The engine had issues, but the body and paint were actually pretty good and I saw no rust on the vehicle and it was even still sitting on the bias ply white wall tires. After my inspection, I knew I he would want to see the car, but would it run well enough to get it outside? After and oil change, some starter fluid, and spilling the oil bath air filter, we managed to get her running more or less. The engine was running, but definitely not healthy. Amazingly enough, the car moved under it's own power without too much coaxing. 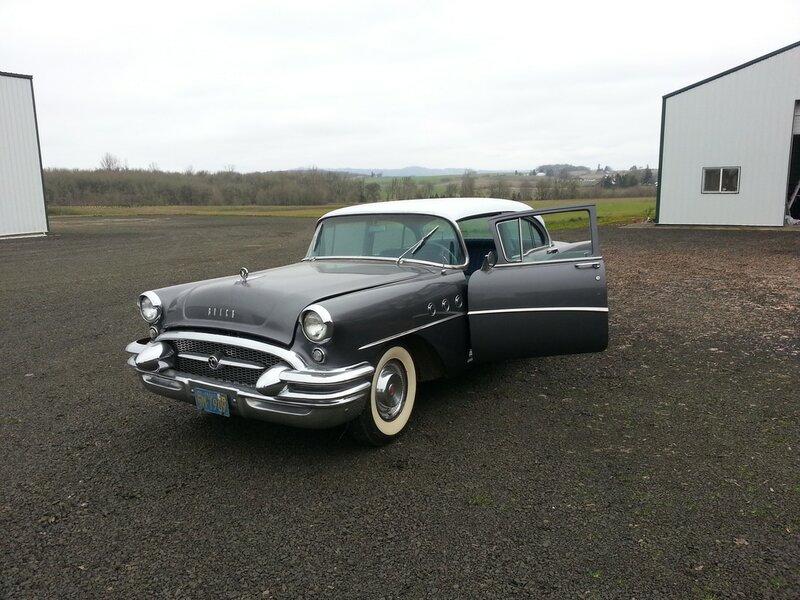 The pictures you are seeing to the right, and later in the article before restoration are exactly how the car looked after coming out of the barn, after washing some of the dust off. The two major concerns were the lack of brakes and the engine obviously not running on all cylinders even though it was free moving. When we asked about the engine, the owner knew it had been parked because it was running poorly, but no one took interest in the car so it had sat for decades untouched until we came along. His guess was it had bad rings, but we didn't see enough blue smoke for that to be the case. We assumed it much bet in the top of the engine, probably cam being rounded off, valve seats, or something of the kind. A quick trip to the local parts store yielded a rebuild kit for the master brake cylinder, which is under the drivers feet on this vehicle, and we set to work making the car stop well enough to not be a death sentence should we try moving it further. A few hours later the car stopped more or less, started without starter fluid, and shifted fairly well. 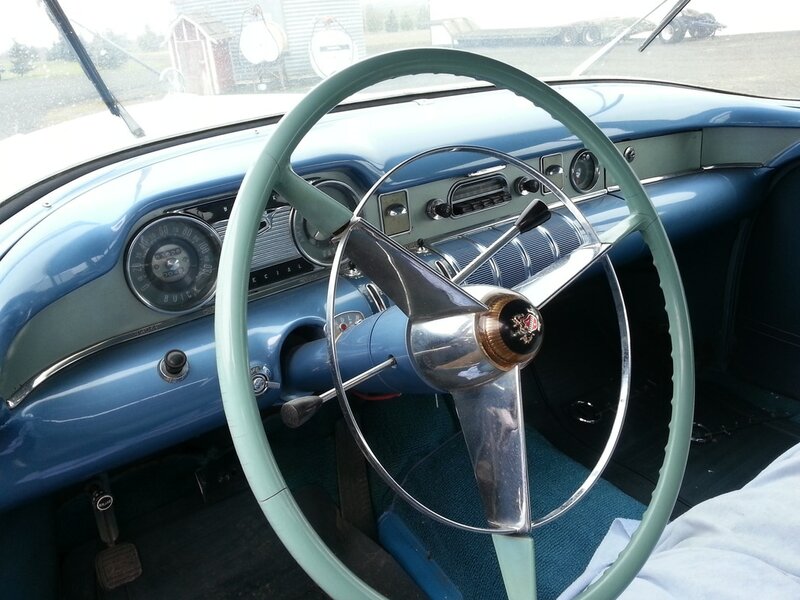 The transmission was the two speed Dynaflow, obviously not intended to be a performance solution, but after over 5 decades, it still worked with minimal work. Amazingly the electrical was in good shape as well, nearly all the lights just worked and we didn't even have to wiggle any wires. While running it even charged the battery properly. For something abandoned in the barn, this car was great. Once I was sure the car would be movable I made plans to bring him by to see it. The car was outside waiting when he arrived, and we started down the list of what we knew was wrong with it and what we knew sort of worked. He really like the looks of the car since you don't see many cars this old on the road anymore, and he liked the idea of it being a car that wasn't extremely valuable so that it would not be something that could be driven. The value of these cars is still under $10,000 generally and this is a great example. Once it was clear he wanted it, we simply had to figure out what the owner wanted for it. Some back and fourth on the sentimental nature of the car and we eventually reached the point of negotiating a price. They didn't consider the car particularly valuable, but they also didn't feel a need to get rid of it. 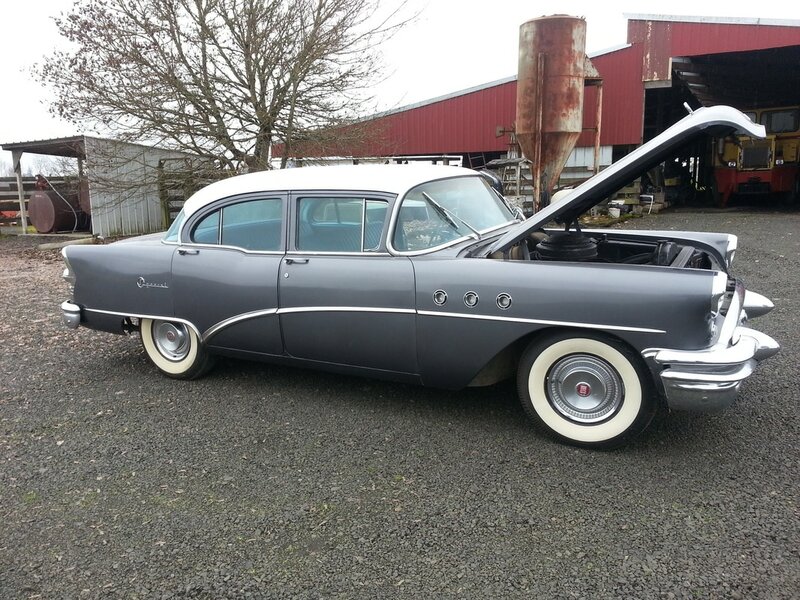 At the same time, we didn't see a reason to pay a whole lot for a Buick Special that probably needed an engine. Fortunately, a compromise for something they needed was found: a riding lawn mower. As it happened, they always needed more mowers for keeping the class cleared around the farm and my father had a spare that he had more or less inherited. With a $1000 cash thrown on top, a deal was struck. The next question was what to do with the car next as we didn't have a trailer handy. I knew I needed to get it looked at, but wasn't sure if it would really be driveable on the road. That meant it was time for a test drive. Easing out of the driveway is an understatement. It felt as though the car weighed five tons and had all of 50 horse power. I was very worried that I would get the car onto the road and simply get run over when I couldn't make the old clunking engine accelerate past 20 MPH. After waiting for a very large break in traffic I went for it. All three metaphorical hamsters, and possibly some real mice, in the engine churning away. I got it up to 55 MPH and everything seemed less than imminently death inducing, so we considered the first test complete. Test number two, turning around and driving back to the farm. This turned out to be more difficult than intended. As I approached a side road I turned on my blinker and began to slow or at least that was the idea. I did feel pressure in the brakes, but they didn't seem to do anything resembling functional braking. The car continued at nearly the same speed right passed said side road. Obviously I would need to get more aggressive to make the next one. This time as the road approached I signaled, manually geared the transmission down, and gave the brakes a lot more effort. This produced an amazingly uncoordinated smoke show from two wheels while still nearly missing our turn off target. Thankfully, I was able to swing it through a gap in opposing traffic and continue on my way down the side road. As we continued our circuit I became more in tune with just how out of tune the car was, and eventually even stopped holding my breath every time I attempted to execute a maneuver. We were ready. The destination I chose was to the shop of a guy who was currently working on my 240Z. His location was the closest I could think of, a staggering 18 miles away. He would be able to house the car and provide us a lift to look at it with. Unfortunately, in order to reach his shop, I would have to traverse many 55 MPH rural highways and pass through the downtown of a relatively large city. We were really hoping the brakes chose to be more cooperative. Once the journey started two more issues quickly boiled to the top of the concern list: the suspension felt like nothing but springs and braking at high speeds resulted in the car steering directly into the other lane of traffic. The idea of having a follow car was that it would provide reassurance that at least I wouldn't be stuck with the car should it break down. I also grabbed a fire extinguisher to have in the car, just in case the car was of the opinion I would have made a good human torch en route. According to the occupants of said follow car, the Buick was bouncing so high when I reached 60 MPH that it looked like the body was going to pull away from the frame, and when it come back down it was nearly rubbing the bumper on the ground. I was entirely too busy using every appendage I had to attempt to operate anything and everything I could to keep it running, going in a straight line, braking, and myself from flying out of the seat, to enjoy the ride. The final high speed stop before the city was an intersection with two turn lanes to the left and a lane turning right. I chose the farthest left turn lane. The car chose otherwise. As I applied the brakes the car turned so hard to the right I had to give up turning the steering wheel as if it were attached to a car, and spun it as if piloting a large ship. A combination of grinding suspension and screaming tires later we had compromised on the middle of the three lanes, but still a lane turning in the direction I needed to go. The trip through town was steady and careful as possible, only having a couple close calls with the car trying to demonstrate a will of it's own. Eventually I had wound my way to within a mile of the shop and was thankful the trip was almost over, until I saw the police officer sitting at the intersection I needed to turn at. While I knew I certainly wasn't speeding, I also knew I had failed to take any corner the entire trip without either having to massively correct the steering to the point of swerving significantly or screeching tires to the point of gaining the immediate attention of every living thing for a mile. Thankfully, this was the first time the car mostly cooperated and I only slightly slid my way onto the side road, no where near enough to distract the officer from his soda. I was able to swing into the shop without additional drama and immediately be surrounded by a crowed of curious car people.